Home → Uncategorized → Travel Question: How Do I Take Out Money While Travelling? Travel Question: How Do I Take Out Money While Travelling? I’ve been asked this question many times and it is a question that I asked before leaving on my first trip as well. Many people think that they’re only option is to carry USD or to use their credit cards, but in reality, there are many ways to access your funds and make purchases while you’re away from home. In this article I’m going to break down the different ways that you can take out money in order from “the cheapest and most convenient” to “the most inconvenient and complicated”. Your Visa or MasterCard should be your number 1 choice for spending while travelling. You’ll be able to earn points on your purchases and generally, credit cards have lower conversion fees than bank accounts. In most countries, you’ll be able to pay for your accommodation, transportation and food bills with your credit card, leaving only small purchases like snacks and some shopping at local markets where you’ll have to use cash (for cash purchases, you’ll use #2 in this post). The main problem with credit cards is that there will always be a fee for withdrawing cash from overseas ATMs. With some Canadian bank accounts you can avoid these fees completely (more on that below). 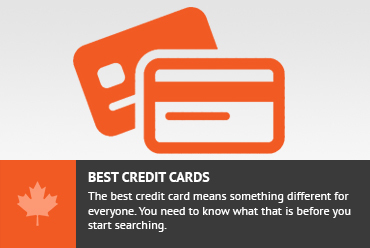 I recommend using your credit card as much as possible mainly because you can earn rewards points on your purchases, but there are other reasons for using credit as well. When buying products, you’ll generally double the length of the manufacturers warranty (to a maximum of 2 years) by purchasing on your credit card. You’ll also automatically be covered for collision, loss and damage of your rental car WITHOUT having to pay for the (expensive) extra insurance through the rental company. On top of all this, you’ll be covered for trip cancellation, lost luggage and even if you don’t use your credit card to pay for your trip, most cards offer travel medical insurance with up to $2 million coverage as an added bonus. Your Visa / MasterCard is your best friend while travelling. Make sure you choose the best travel rewards credit card for Canadians. This is by far the easiest way to spend money while travelling. In most cases, you won’t be able to use your debit card for direct purchases like you would at home, but you can always take out local currency from ATMs and use that money while you’re travelling. But aren’t there fees associated with overseas ATMs? No. There are ways to avoid almost all of the fees that you’d normally pay for taking out money from foreign ATMs. Open the TD Canada Trust All-Inclusive Banking account which will give you free overseas withdrawals for $29.95 / month. TD will waive the monthly fee if you keep $5,000 or more in the account. Alternatively, you can open a Tangerine Checking Account and you’ll be able to access your money from any Scotia Bank ATM overseas (of which there are many) without paying any foreign ATM fees. $2 at all other ATMs will be charged to your account but this is much lower than most other bank fees. The ATM itself may charge you a small fee to use it. Try multiple different banks while travelling to try to find the one that charges you the least. American Dollars tend to be the best currency to carry as a back-up while travelling. The reason I say back-up is because I’m always against the idea of carrying large amounts of cash on you while on vacation. I know from experience that this can be a dangerous gamble as I once had $1,500 USD stolen from me in Tajikistan. That’s not to say that it isn’t a good idea to carry at least some USD on you as backup. I always recommend taking around $500 and stashing it in different parts of your luggage. If you ever get into a jam, lose your wallet or for some reason your credit card or debit card wont work in the ATMs, you can always dip into your US dollar stash and convert it to local money at a local currency exchange booth. US dollars are widely accepted around the world, though don’t ever bring them to Cuba as they are harder to exchange and you’ll be charged hefty fees for trying to use them there. In some cases (depending on where you’re travelling and for how long) you may be able to take out some local currency for the destination(s) you plan to visit, before leaving Canada. You can head into your local bank and exchange your Canadian dollars for Euro, Pounds, US Dollars etc. This is only ideal if you are going on a short trip and you know how much you will spend. The problem with this method is that you’ll often end up taking out too much and then you’ll pay to covert it over to the currency of your choice, and then you’ll pay again when you convert your left-over cash back to Canadian dollars. I don’t ever recommend taking out enough local currency for your whole trip, but it’s always wise to have at least $50 worth or so in your wallet so that when you land at the airport, you can pay for your taxi to your hotel and maybe your first meal. A truly dying breed of using money overseas, travellers cheques can be your very last resort while travelling. These archaic bank slips are becoming increasingly difficult to cash and while debit and credit cards are becoming more widely accepted overseas, there is little use for travellers cheques these days. Nevertheless, if you feel the need to have multiple backups of money while on the road, travellers cheques can be your last choice. You’ll need to find an acceptor or bank that is willing to cash the check for you and in exchange, you’ll receive its value in local currency – usually minus a service / deposit fee. If you didn’t know how to take out money overseas and make purchases while travelling, hopefully now you understand the logistics of it. If you have any questions about managing your finances while on the road, please ask them in the comments section below and myself or one of our members will be happy to answer them for you. Don't subscribe All Replies to my comments Notify me of followup comments via e-mail. You can also <a href='https://www.creditwalk.ca/comment-subscriptions/?srp=4641&srk=2648578ecea05c83754707575dc5a494&sra=s&srsrc=f'>subscribe</a> without commenting.